(Willis). 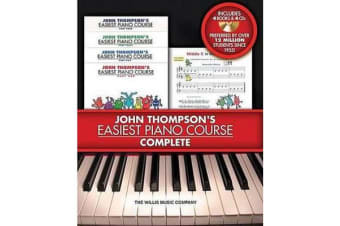 John Thompson’s Easiest Piano Course has been preferred by more than 12 million students since 1955. This comprehensive boxed set assembles Books 1-4 of this classic method. 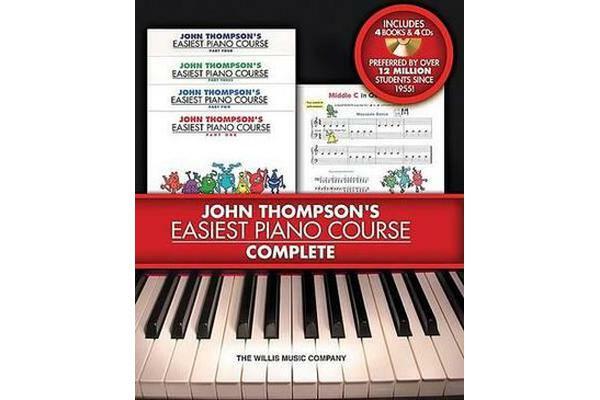 The books feature colorful, amusing characters and illustrations, and all four feature audio accompaniments online to make learning and practicing even more fun. The audio accompaniments can be accessed online using the unique code inside each book and can be streamed or downloaded. The audio files include PLAYBACK], a multi-functional audio player that allows you to slow down audio without changing pitch, set loop points, change keys, and pan left or right.